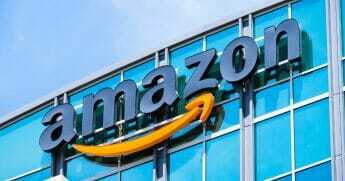 Amazon will try to thwart efforts to unionize its New York City workforce after the company builds one of its two new headquarters in Queens, Amazon Vice President Brian Huseman said. Huseman fielded questions from New York City Council members Wednesday at a meeting at City Hall. 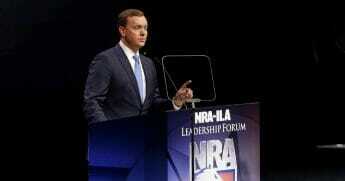 Council Speaker Corey Johnson peppered Huseman on his company’s intent to fight unions after accepting a $3 billion payment in tax breaks and subsidies to locate a new facility in the city, The New York Post reports. “We do firmly believe that the direct connection we have between our employees and an open door policy is the most effective way to respond to the concerns of the workforce,” Huseman said, according to New York Daily News’s Jillian Jorgensen. The City Council also directed ire at New York City’s top development officer James Patchett for negotiating a deal that did not include a promise by Amazon to stay neutral in all unionization efforts. Instead, the deal negotiated gives preference to a few select unions. “Shame on you, shame on you,” Councilmember Van Bramer said, who represents Long Island City, where Amazon’s facility will be built. Unions are split on the $3 billion Amazon deal. Do you think Amazon is right? The Building and Construction Trades Council backs the project for the jobs it could provide for its members. Protesters at the City Council meeting jeered at Huseman and city and state officials defending the project. 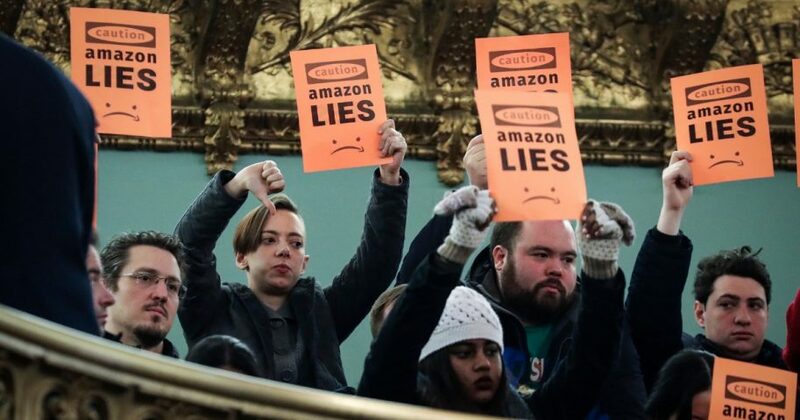 Protesters unfurled anti-Amazon signs with the phrases “Amazon delivers lies” and “Amazon fuels ICE deportations,” referring to the company’s work with federal immigration forces, The New York Post reports. Amazon’s allies in the Building and Construction Trades Council organized a counter-protest outside the building to stunt the affects of the anti-Amazon forces.